This fine cake was first released in 2006. 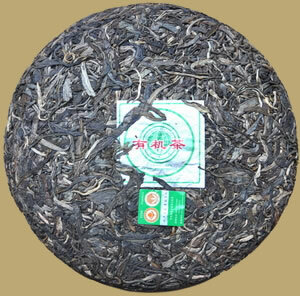 Shuangjiang Mengku tea factory has selected perfect sun-dried tea leaves from Mengku tea region for this raw Pu-erh. The tea was Certified Organic by the Organic Tea Research and Development Center! Excellent for drinking now but great potential after a few years of aging. Tea factory: Shuangjiang Mengku Tea Co.,Ltd.